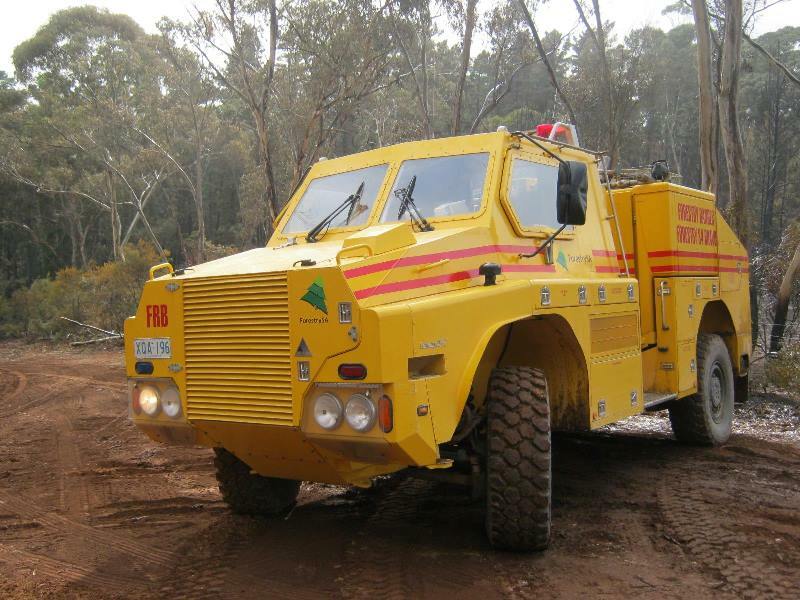 The FireKing is a forest fire-fighting vehicle built in Australia, designed by the Irish company Timoney Technology Ltd. and manufactured by THALES. The FireKing is derived from the Bushmaster Troop Carrier in service with several forest fire brigades in Australia. The FireKing provides the crew inside full protection against the heat of a fierce forest fire through a unique combination of heat-resistant materials and its own sprinkler system. So if the crew hits embedded during a forest fire through the fire than with their FireKing they can always escape alive. The power source of the Fire King is the Caterpillar 3126E Turbo Diesel engine good for 300hp. Impressive! In this "Making of a ...FireKing Bushfire fighting vehicle" he shows how this custom model based on the scale model made by CypModels is achieved. Carol Westerhoff[abc] will share his building skills through its construction photos with little notes from me. 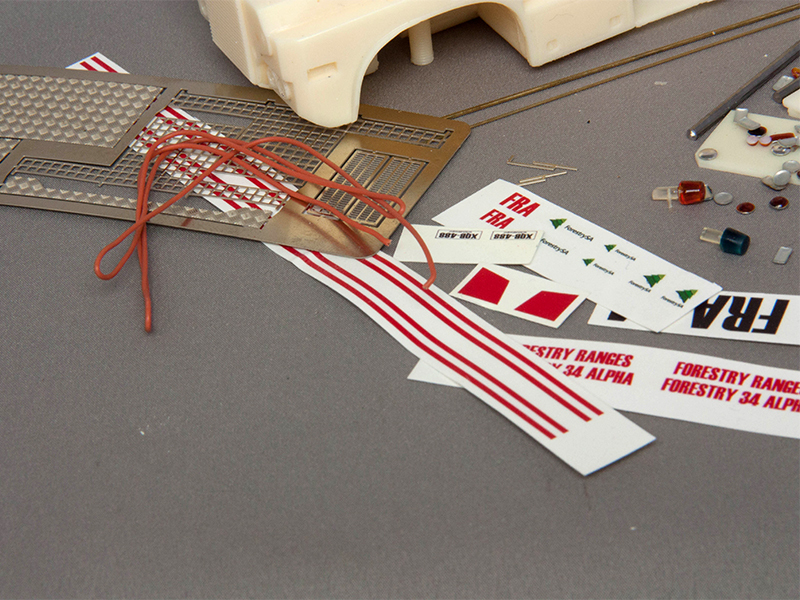 Gradually it shows you the making of a unique model of the Fireking. The scale model of the FireKing fire-fighting vehicle in 1:50th scale was released in 2014 by custom scale model builder Ciprian Ursulescu. The model can be ordered through the website from CypModels and then exclusively built by him for you. Despite this seems a rather straightforward kit I'm glad Carol is willing to build the scalemodel for me. 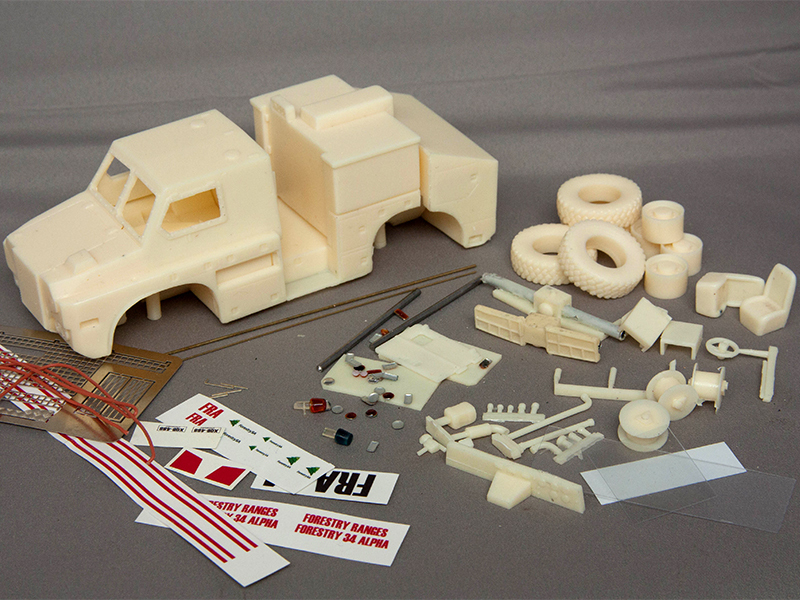 There is no building instructions enclosed in this kit and the model must be so assembled entirely based on his experience as a builder of kits and the pictures of the 1: 1 FireKing we have received from our Australian friends. So all in all definitely not a kit for a beginning builder. After the kit is unpacked follows the first inspection to check all parts of the FireKing Bushfire fighting vehicle. 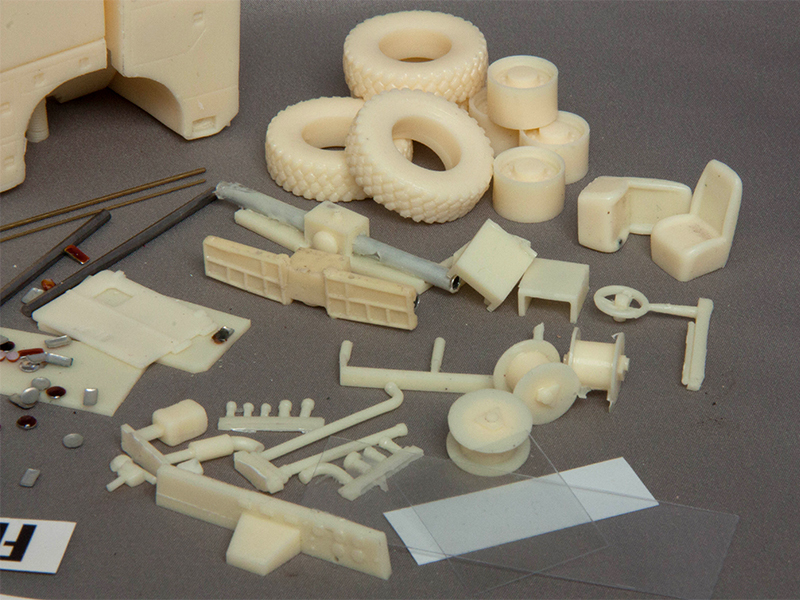 Secondly each individual component is checked very accurate and made ready for building and if needed this includes mainly the very careful filing of excess molding material and making all the parts so that they can be later joined together without any fitting problems. Also in this 1st round all the individual parts are been thoroughly cleaned and degreased for the first time.